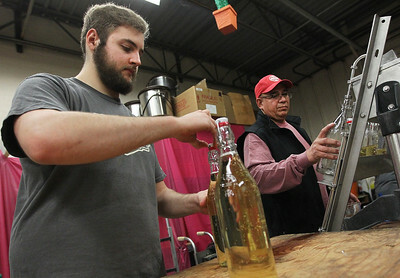 Candace H. Johnson-For Shaw Media Paul Marisca, of Grayslake helps Cipriano Luvianos, of Waukegan, cellar master, bottle May Wine for the holidays at the Glunz Family Winery & Cellars in Grayslake. 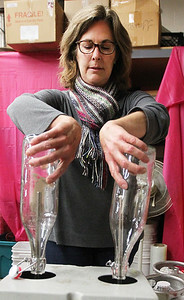 Candace H. Johnson-For Shaw Media Leigh Anne Marisca, of Grayslake rinses out bottles to be used for May Wine bottled at the Glunz Family Winery & Cellars in Grayslake. 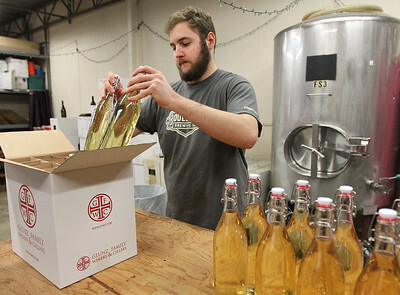 Candace H. Johnson-For Shaw Media Paul Marisca, of Grayslake puts freshly bottled May Wine into cases at the Glunz Family Winery & Cellars in Grayslake. 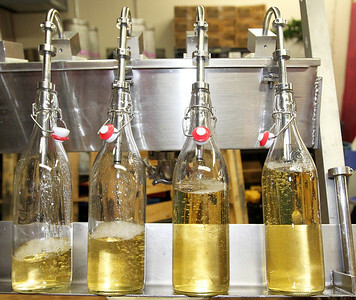 Candace H. Johnson-For Shaw Media A small batch of May Wine is bottled for the holidays at the Glunz Family Winery & Cellars in Grayslake. May Wine is a sweeter wine made from Riesling grapes using a German recipe.The wine goes very well with a turkey dinner for Thanksgiving. 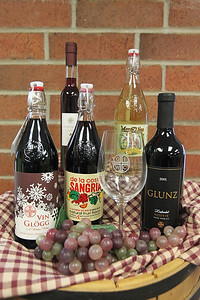 Candace H. Johnson-For Shaw Media Holiday wines for sale at the Glunz Family Winery & Cellars in Grayslake.